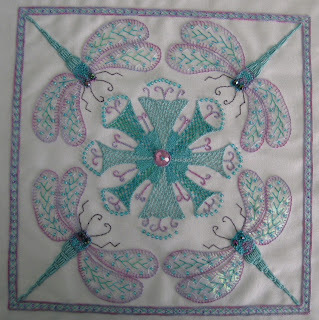 This is cushion number 4 for the assortment on my bed. 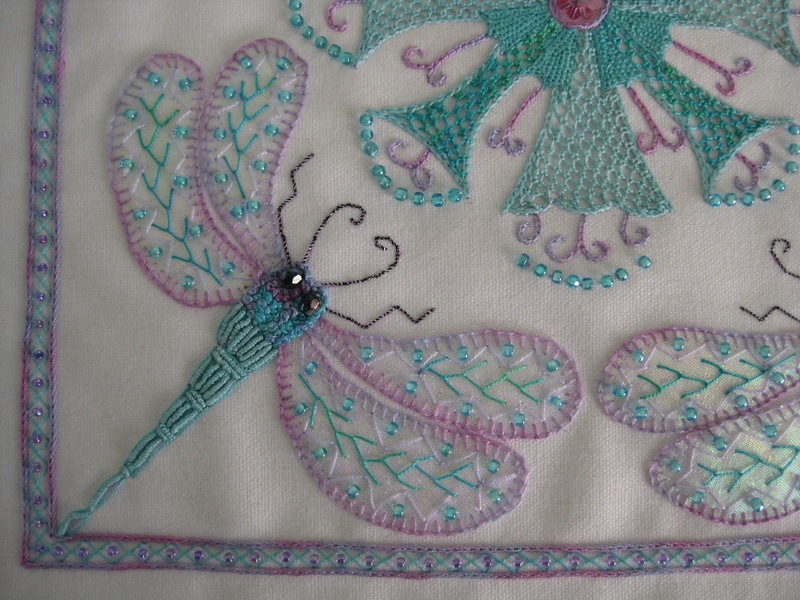 Hand dyed threads used with needle lace stitches & embellished with beads. Well on the way now with cushion number 5. 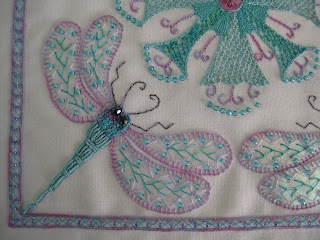 Close-up of one corner of the work. I love needle lace and all your cushions are AWESOME!